Recently, The Car People contacted me and asked me to write a post about my favourite car journey with my Dad. There have been so many car journeys over the years with my Dad, such as those as a kid to pick my Mum up from work, playing lots of eye spy in the car park waiting for her, to University open days, the holidays, and the pick ups from the gigs as a teenager. There have been many memorable ones since I have been able to drive too, like picking him up from the pub with his friends on a Friday night (and usually stopping for food on the way home), but immediately when asked about my favourite car journey with Dad, the ones home from Download Festival were the ones I thought of first. A few years ago I confessed that I love to go to Download with my Dad and in that post I mentioned how much fun I find the car journeys home. My Dad has usually had a few beers by the time we're ready to head home, so can be quite merry, and obviously we have to put on some good music. He almost always tries to turn the volume up and I always turn it back down again, quite the role reversal! He's going a bit deaf from years of listening to very loud music, so I'm trying to keep my hearing intact, and it's always very funny and eventually we come to a happy agreement. There's usually snacks left over from the day that we're eating, and he'll be in his socks with muddy wellies in the boot, both of us looking forward to our beds but also not wanting the day to end. 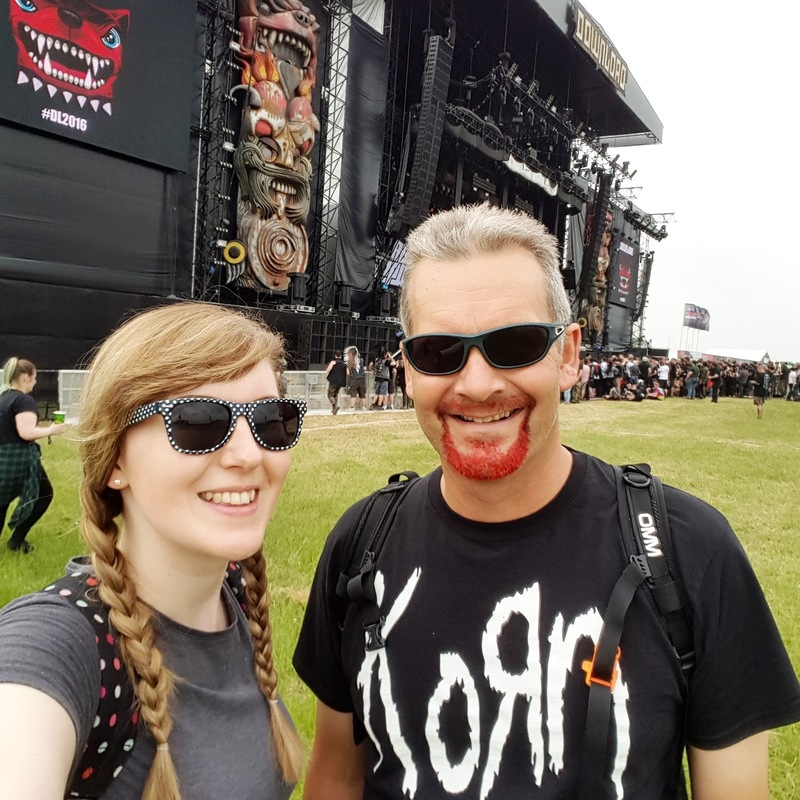 I love spending time with my Dad, he's very cool for an over 50 retiree, and this year we are lucky enough to be going to both the Friday of Download, and Glastonbury, so a lot of festival time for us both! I chalk up my quite brilliant music taste to him, as well as my love of adventure, so hopefully the festival car trips will continue for many more years. 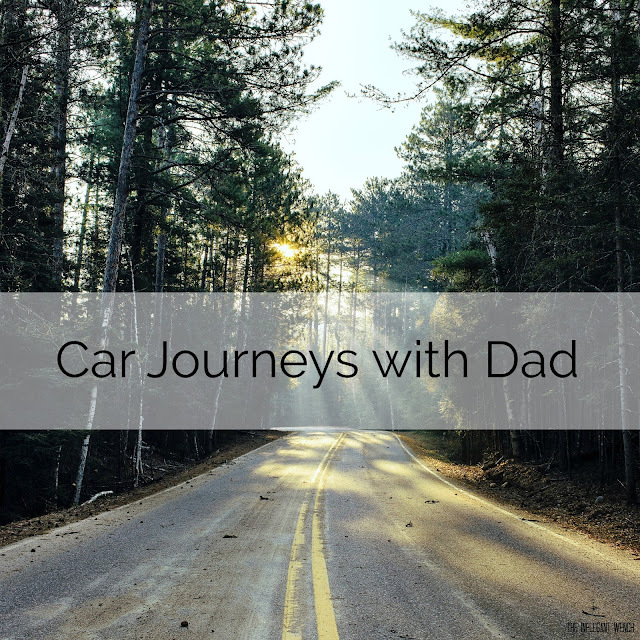 Have you had any memorable car journeys with your Dad? Let me know in the comments below. This week is our fourth one now doing the 90 Day SSS Plan and I'm still loving it. I'm used to the amount of food I'm eating, and I'm seeing results which is definitely spurring me on. The only thing I'm not quite such a fan of is how much time all the meal prep is taking. Don't get me wrong, I love me some meal prep, but having to weigh out every ingredient, and cook both Rich and I's meals in separate pans adds a lot more time to what I'm used to. It's part of why the blog has become more quiet lately, as a lot of my blogging time has turned into cooking and washing up time. Nevermind though, it will definitely be worth it in the summer when I'll be confident wearing shorts again! Onto the meal plan! Breakfasts are mostly granola again and snacks are a mixture of nuts, Mousse Me Up and protein shakes. We tend to do our food shops on a Saturday so I'm not sure on what we'll be having at the weekend yet for our last few days of cycle 1. Then it'll be time to measure and weigh so I'll be sure to report in with the progress so far then. As always I'm instagramming my food at @inelegantwench so be sure to follow if you want to see what it looks like. 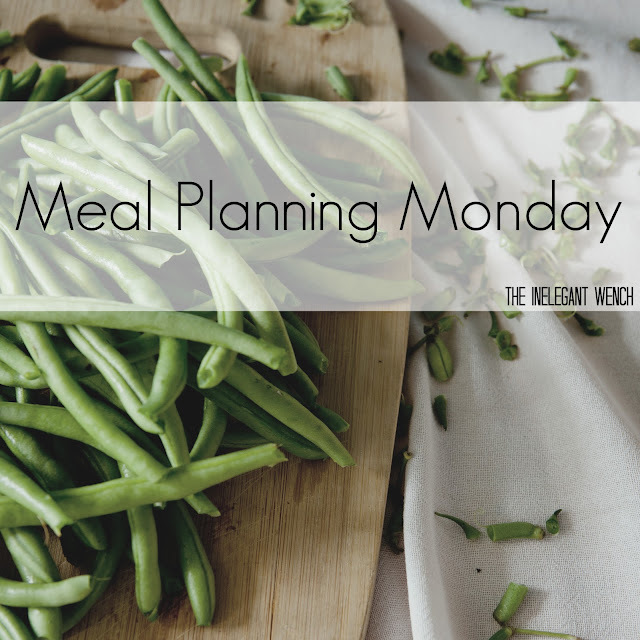 What is a Monday without some meal planning and general food chat from me? It's week 2 of the 90 Day SSS plan and I'm loving it so far! Last week had a bit of trial and error with the recipes, finding out which are good and which really aren't. The Reduced Carb Oatmeal officially tastes like licking cardboard, but the Mousse Me Up (cottage cheese with sugar free jelly) is incredible. I've learnt that Protein Shakes with water aren't that great, but ones with milk are really yummy, and that I am terribly unfit. The food side has been stuck to almost 100% apart from one meal out with Anna before the theatre, but I only had salmon with green beans, so it's not like I fell off the wagon completely. I even watched her eat a sticky toffee pudding for dessert and didn't even wobble. Yup, I'm proud of myself. The exercise is hard, but I always knew it was going to be as I'm just so unfit. I cried during the second HIIT session, as all the exercises were ones I just can't do (pushups, burpees, lunge jumps) but now I just choose videos with exercises I can do, and modify those that I can't/swap them for something I can do. You can go to spin class as a HIIT session if you want so Cat and I headed to the RAF gym for one on Wednesday which I totally love/hated my way through. I was totally dripping with sweat at the end, but I know it will all be worth it. I've been struggling a bit with the sugar withdrawal, as the plan is almost completely sugar free I think, with very little sweet in it aside from the Mousse Me Up, protein powder and pancakes. There is the option of a fruit snack, but I'm really fussy with my fruit, so I'm not having those at all. I've been very lethargic and a little headachey at times, but I know this will pass once all the sugar is out of my system and I'm used to not having it. It will definitely be worth it, and I'm already not craving sweet things anywhere near as much. Anyway, enough of me rabbiting on, time to tell you what I'm eating this week. Snacks are nuts, turkey wrapped egg muffins and mousse me up this week, maybe with a protein shake in if I can't face yet more nuts. I've not planned the weekend yet as Nat is coming to stay, and my fridges couldn't fit anymore food in them (thank goodness I have two fridges!). As always, I'm Instagram Story-ing everything I eat, as well as my gloriously bright red post work out faces, so give me a follow on @inelegantwench if you like.